On Wednesday, AB Concerts announced the booking for the fall concert. 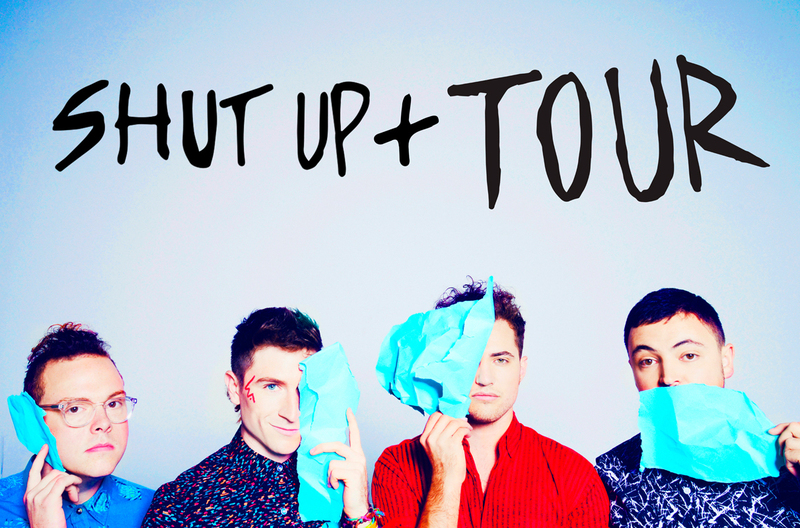 On Nov. 15, Walk the Moon with special guest PUBLIC, will perform in Wiegand Gymnasium. The indie rock band is primarily known for their catchy song “Anna Sun,” which reached the top 10 charts in 2012. A new single, “Shut Up and Dance,” and an accompanying music video were released on Oct. 23. According to radio.com, the band has long been on its way to becoming a “full-on pop and alt-rock explosion” and “If any song will catapult them there, it’s their recent single.” Walk the Moon is expected to release another album, titled Talking is Hard in December. PUBLIC, the band that will accompany Walk the Moon, is a pop rock indie band based in Cincinnati. The band has toured with Walk the Moon, Neon Trees, and Twenty One Pilots, according to their website. The AB Concerts co-chairs promoted the release by posting clues and hints on their Facebook page leading up to Wednesday’s announcement, which took place at the Fence with a giant banner and on the organization’s Facebook page. “[To book a performer], we work with a middle agent, someone who manages communication between us and an agency. They provide us with a list of artists available at that time and within our budget, and then we offer a bid. Walk the Moon was actually our first choice,” said Samantha Landen, the AB Concerts co-chair and senior information systems and human-computer interaction double major. Landen and her co-chair, junior information systems major Jenny Yang, are excited for the concert, saying that they have gotten a lot of positive feedback from the student body. Sarah Duncan, a sophomore logic and computation major is one such excited student. “I think it’s fantastic. I’m really excited that they booked a great band that lots of people are into. It’s a band that is well-known enough that there’s a following at CMU of people who listen regularly. But people are still excited to see them because not a ton of people have seen them already,” Duncan said. Landen shares Yang’s excitement, saying that she has heard that it’s a fun show and that students who have already seen them are excited to see them again. The two have been involved in AB since their first years here, and started working with smaller venues, such as the Underground and Skibo. “I’ve loved planning events and meeting the artists. I’m a concert junkie, so it’s perfect,” Yang said. Landen said that this position is just as rewarding, but on a larger scale. “It’s really fun, because you get to reach such a wide audience with these events,” Landen said. Students will be able to acquire tickets two weeks in advance of the show at the Information Desk, as per usual. They will be free with a valid Carnegie Mellon student ID. The show will begin at 7 p.m., and more information will be released on the AB Concerts Facebook page.